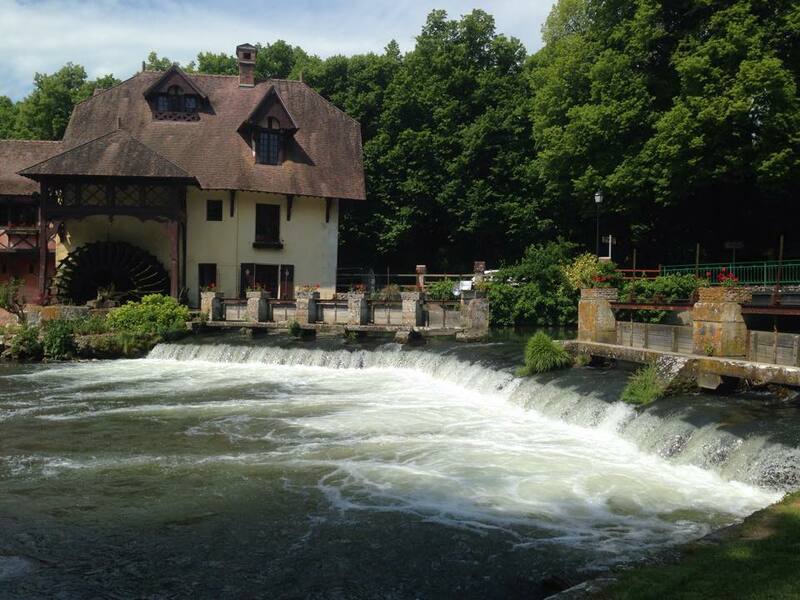 Upcoming French Immersion Tours with ⋆ LaPont Language Centre.. 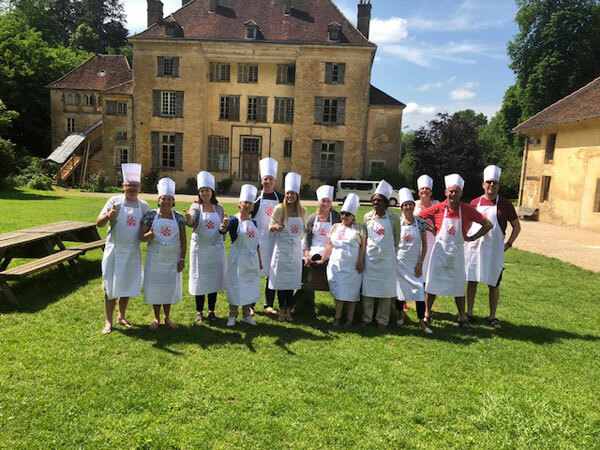 The Lapont French Immersion experience extends beyond the Classroom! Proudly hosted by: Catherine Alapont and her team of seasoned experts.. Speak, live and even dream in the French language and culture from morning to night in a very unique immersive environment that constantly reinforces your language skills. We offer Residential Courses for adults only: French classes are held on-site at the Château in small groups, with a personalized approach and focus on communication. Learn French in France absorb the Culture, Language and Gastronomy of “La France Profonde” between French language lessons, cooking classes, private cultural tours and interaction with the locals..
Our teachers have extensive international expertise and savoir-faire; they participate in all cultural activities, meals and outings and are on hand all day long for French Practice. 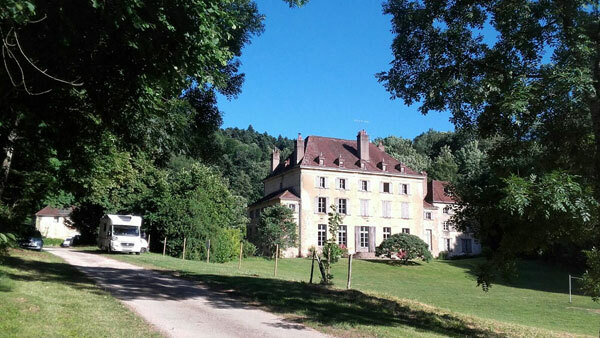 Your home is at a 17th Century Château Country residence, located in an exceptional area 2.5 Hours from Paris, between Lyon and Geneva, nestled among three regions of France: Burgundy, France-Comté and Rhône-Alpes. Stay at the Château-Domaine in total immersion… The hallmark of the Château is conviviality and warm French hospitality. The charming rustic country residence is surrounded by ten hectares of wooded-park lands. Its natural and peaceful environment provide the perfect retreat setting for your French Immersion vacation. Facilities include spacious French living-rooms, rustic libraries and intimate spaces for relaxation. The French course is optional for accompanying guests. Bicycles are available on-site, music room and entertainment. The rooms are spacious and elegant with en-suite; In the provincial kitchen, regional cuisine is prepared daily by our in-house chef, with local fresh produce; a fine-mix of delicious home-cooking paired with local wines. Each day of our signature Itinerary is build around private cultural tours lead by seasoned experts, who know the area intimately. 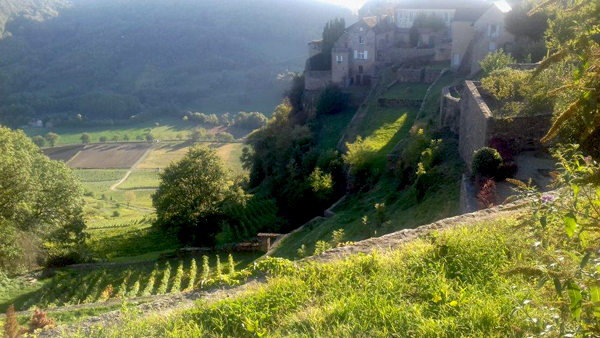 We visit the hidden gems of Burgundy, Franche-Comté and Rhône-Alpes surrounding regions: Private Châteaux, cheese farms, artisans markets and small producers wineries. Some lovely international guests are joining us in 2019 and 2020 from the UK, USA, South Africa, Germany, Japan, China and Australia; the perfect opportunity to make new friends, from all over the world…Register your interest don’t wait places are extremely limited. Our French team cannot wait to welcome you at the Château in Saint-Amour. You’ll live and breathe in French for your week at Lapont’s terrific French immersion course. 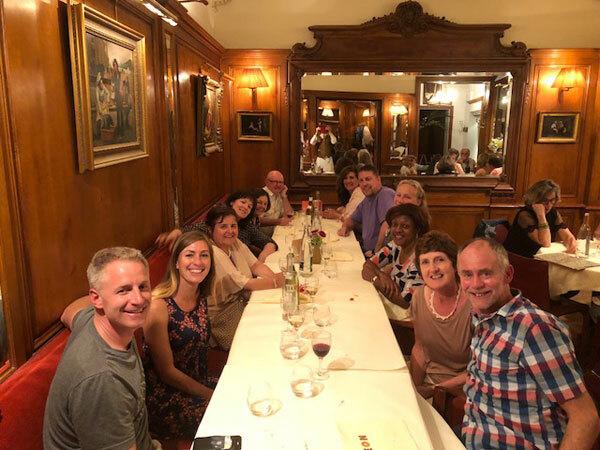 It’s a small group tour only with international guests who all have one thing in common – a passion for France and for learning and discovery. Catherine Alapont, a native French speaker and renowned linguist, has been organising French Immersion Holidays for many years and really understands how to ensure that guests have the best time whilst learning. You won’t just go home speaking French better than you ever thought possible, you’ll make new friends and have the holiday of a life time. Availability is limited and can only be confirmed at the time of receiving your booking.